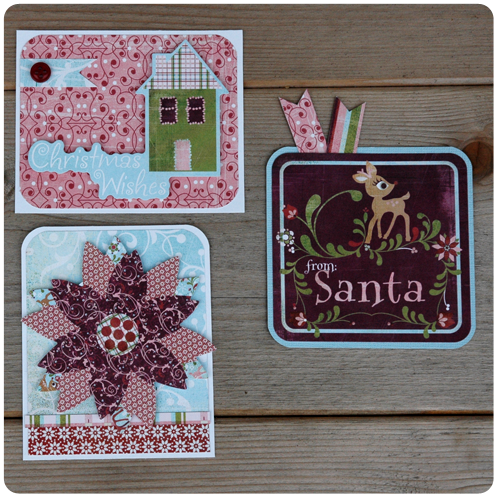 If you have been following along with my card of the week posts for a while now, you may have noticed that my cards include a lot of patterned paper and layering, but little stamping. But every once in a while there is a stamp that catches my eye, usually an incredible quote such as the one on this week's card. Perfect for a birthday, a graduation, congratulating someone on any achievement...or for so many other times in our lives, this quote so simply and beautifully speaks the truth. With Christmas behind us, I feel like I can just sit down now and catch my breath. The last few weeks have been so very full and busy. With all the baking, shopping, wrapping, decorating, cooking...whew, I’d be lying if I said I wasn't a bit exhausted. We had a wonderful Christmas. And for the girls it was magical. Watching their excitement just made my heart swell. As I listened to their conversation on Christmas morning, I heard Bridget telling her younger sister Claire how Santa’s elves had made their shiny new princess castle, and that Santa had come and placed it under our tree and probably played with it a little before he went to the next house on his list. Claire just listened with a look of utter amazement and awe on her face. They believe so strongly in the magic of Christmas, and I so hope that there are many, many years ahead when they still believe; their innocence and excitement is the most precious thing. Oh my goodness I just love it! 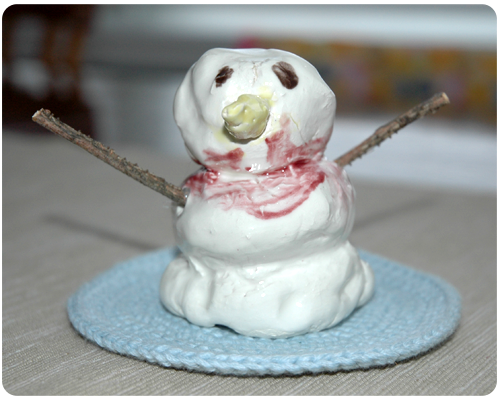 There were tears in my eyes when I saw it, and even more so when Bridget told me that she had been working on it at school for a while - rolling the clay into balls, collecting sticks for the arms when she was outside at recess, and painting her snowman with the help of her reading buddy. I put the little guy on the kitchen windowsill and I will treasure him forever. 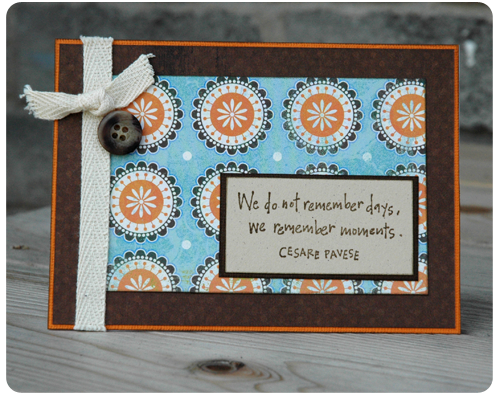 With the holidays behind me, I need to take a few moments in the next couple days and regroup on the crafting front. I have too many projects on the go and I need to get a handle on them – in other words, finish what I have started before I am lured into starting new ones. Where am I at, what am I working on, what is in this basket stuffed under the table? Should be fun and I will keep you all posted as I work on finishing up these random projects. 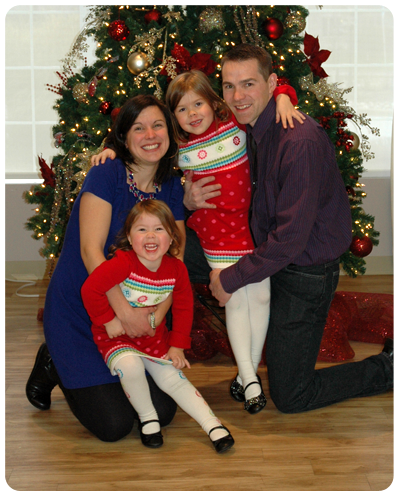 I hope everyone had a wonderful holiday and that the magic of Christmas filled your home. 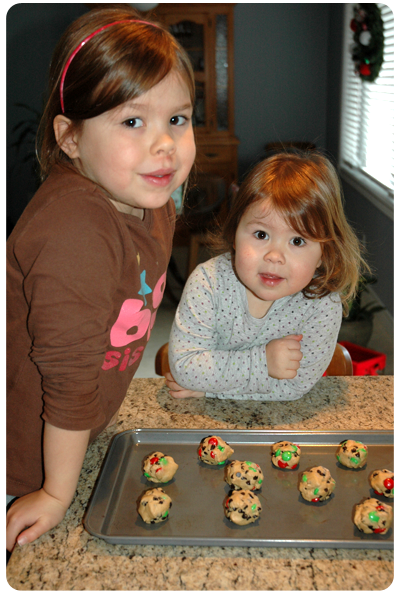 This week, with these two helpers, I got my Christmas baking done. The girls job was mainly quality control - making sure that the M&Ms, Hershey kisses, and chocolate chips were up to their standards; by the number they gobbled up, I think everything was more than okay. 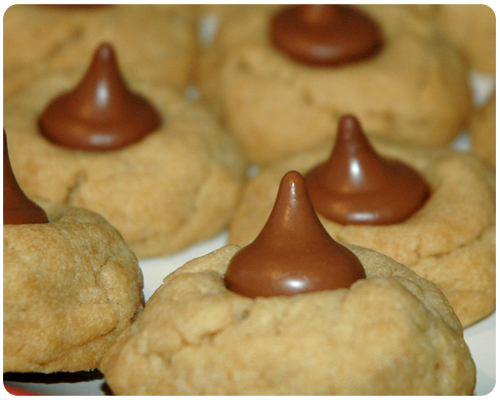 This was the first time that I made the M&M chocolate chip cookies (click here for the recipe) and the Shortbread Kisses (click here for the recipe). 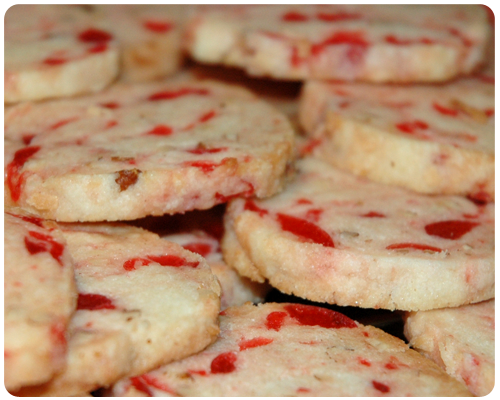 I have made the Santa's Whiskers for the past several years using a recipe that I have from Better Homes and Gardens 100 Best Cookies Holiday Issue. All the cookies are absolutely delicious (based on random taste testing). 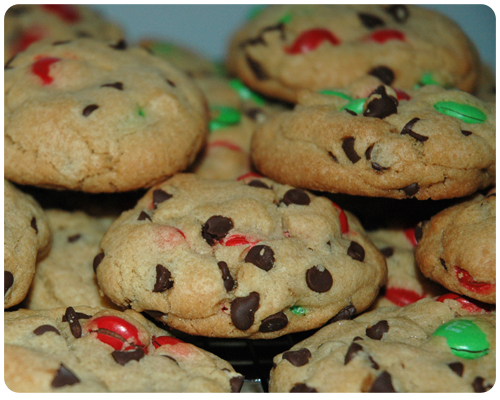 Have you done any baking this year? What have you made? 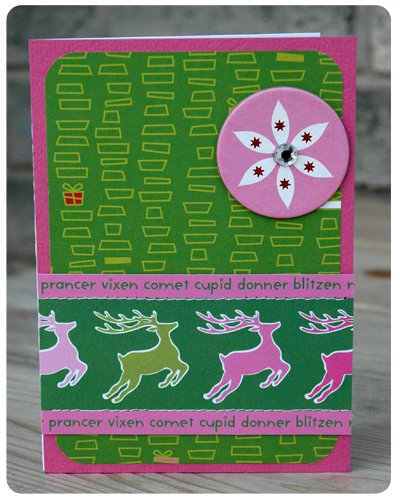 Like I said in this week's 'card of the week' post, it has been a paper crafting goal of mine to place a handmade Christmas tag on each gift I give. 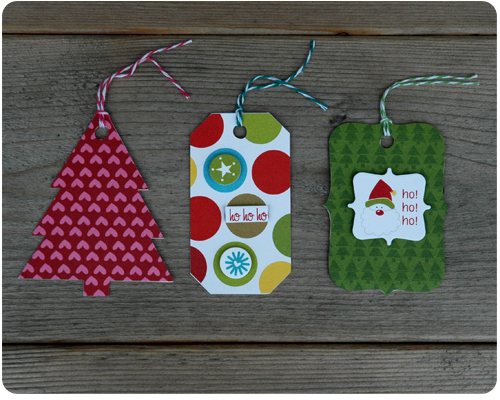 To this end, I have been making loads of Christmas tags, the first of which I showed you here. Today I would like to show you the rest of the tags that I have made. I cut out all these tags using my Silhouette. What a super fun afternoon that was! 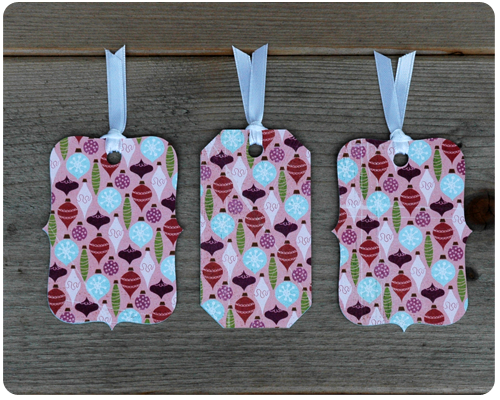 I made quite a few tags using patterned paper from Bella Blvd. I love the fun, quirky patterns and the use of non-traditional colors. 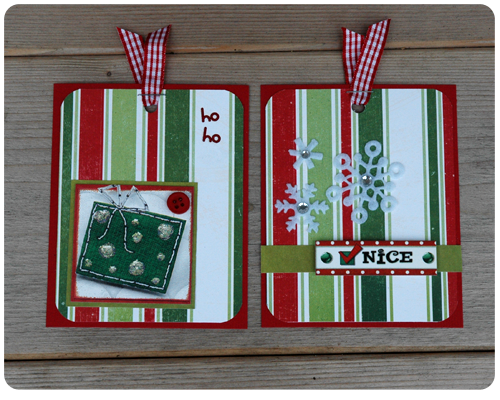 I embellished these tags using coordinating stickers, attaching them to the tags with foam squares to add a bit of dimension. 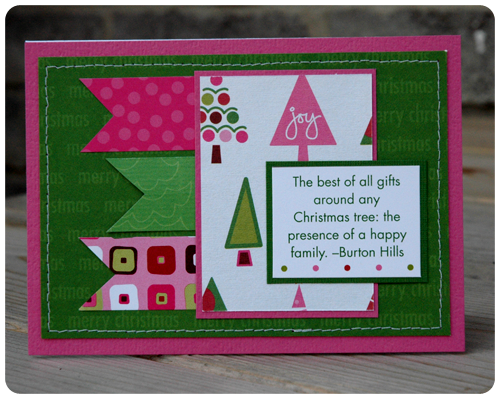 Next, I used patterned paper from Basic Grey. I though that these tags would be better suited for a man's gift given the dark, masculine colors of the paper. 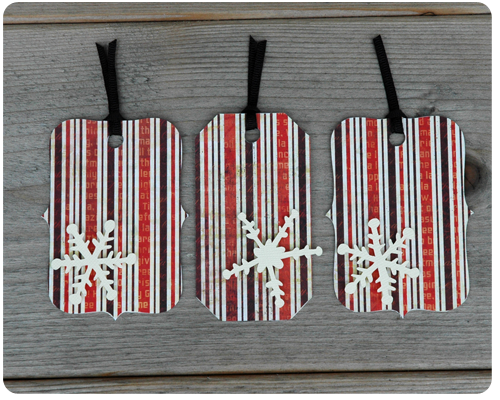 I cut the snowflakes out with my Silhouette and attached them to the tags using foam squares. 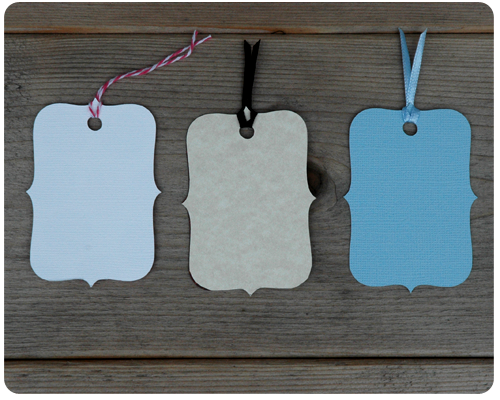 These tags are also made with patterned paper from Basic Grey. I skipped embellishing them since the paper is so pretty all on its own. Since all of the patterned paper that I used was double sided, I cut each tag out a second time using coordinating cardstock and attached it to the back of the tag. This made the tag heavier and sturdier, and provided a plain spot to write who the gift is for. When it came to wrapping my gifts, I used Kraft paper (like brown shipping paper but lighter weight) so that my tags would stand out. 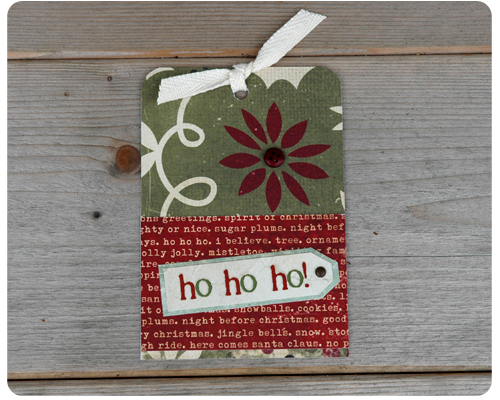 And I am happy to announce that each gift I give this season will have a handmade tag attached. (And I have lots left over giving me a head start on my Christmas crafting for next year). 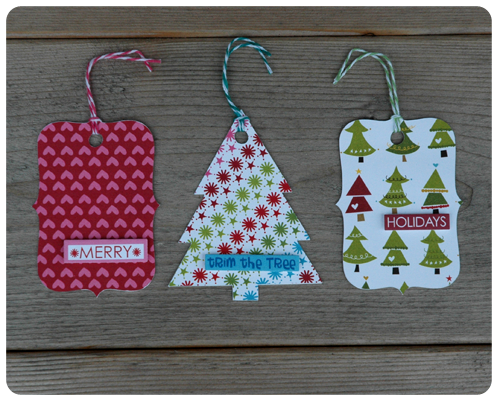 One of my personal paper crafting goals for quite some time has been to make enough Christmas tags so that there is a handcrafted tag on each gift that I give. Making tags is such a great way to use up all those small scraps of paper that I can not bring myself to throw away. And I of course love anything handmade. 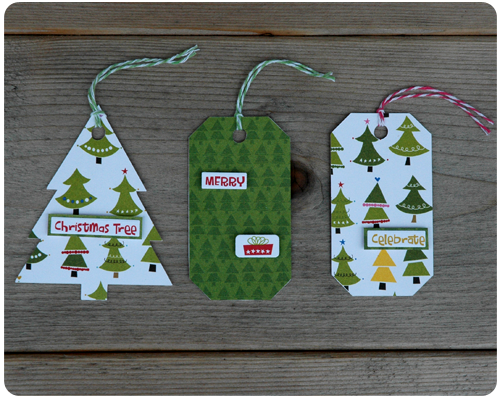 So this year I got down to business and have been making loads of tags - so many that I just might achieve my goal. Today I would like to show you a few of the tags that I have made. These two are made with paper and stickers from Bo Bunny. 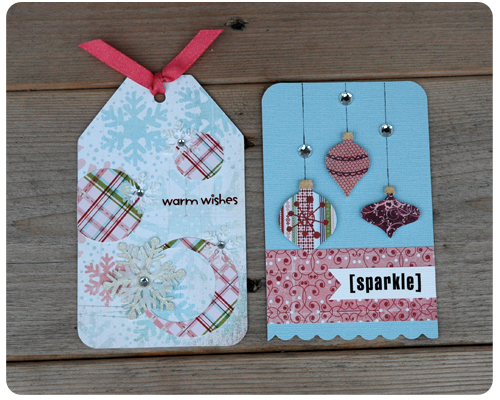 This group of five tags was made with papers and embellishments from Basic Grey. I love the little reindeer. And this last tag was made from scraps of Christmas paper I had lying around; I can not for the life of me remember the company the papers came from. Now, I do have a lot more than 8 gifts to give, so I have made many more tags. 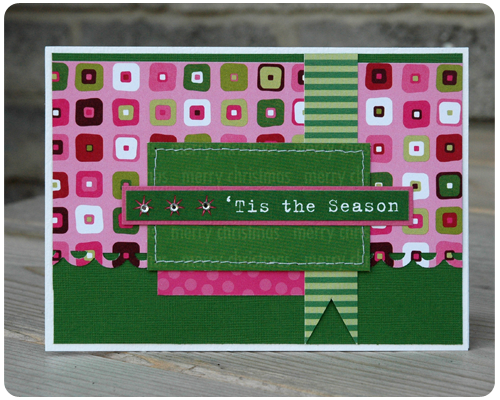 I invite you to check back later in the week when I will show what other tag making fun I have been up to. Until then, I hope everyone has fun getting ready for Christmas...one week to go! Steve and I got engaged on December 19, 2002. The first thing that we did as we began planning our life together was buy a Christmas tree. Looking back this makes me laugh. Of all things that a newly engaged couple might buy, why did we buy a Christmas tree? Well, we were thrifty and knew we would be married by the next Christmas, so we figured why not get one on sale. This made perfect sense then (and it still does now); one could argue that in addition to being thrifty, we were incredibly logical as well. The memory of buying our Christmas tree is very vivid for me. I remember that we went to White Rose and that the entire store smelled like very strong cinnamon potpourri. I remember that there were very few average sized trees left and that the one that we went home with cost $60 (what a deal!). 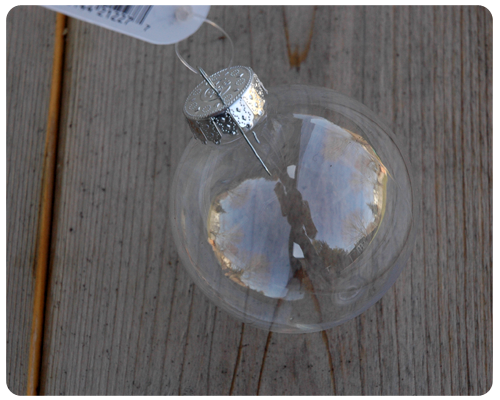 I remember the boxes of bulbs that we also bought to hang on our tree when we celebrated our first married Christmas. And I remember that we ended our shopping trip by going for coffee, so happy together. Our Christmas tree was the first thing we bought for our new life together and because of that it has always been symbolic for me. Each year when we pull this tree out of storage and set it up in the living room, I remember back to our beginning, how far we have come, and how many wonderful things that have happened. 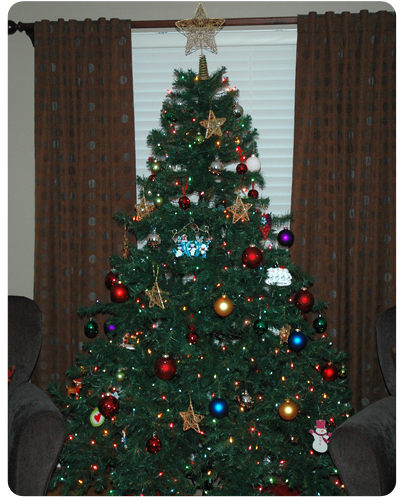 We put this tree up in our first apartment which was upstairs from a chiropractor's office. And in our first home. And it was this tree that we anxiously decorated in 2006 when we were waiting for Bridget to be born. (She was due December 19 but was born on the 31st, and yes I was incredibly uncomfortable being that much overdue). Now this tree is in our living room in the home we hope to never have to move from. Both the girls know exactly where it goes and what furniture needs to be moved out of the way to make room for the tree. Over the years we have collected different bulbs and ornaments. The girls are so excited every year to put certain ornaments on the tree: the big golden star, Winnie the Pooh, Jessie (from Toy Story), the snowman family that has our names on it, and the small frames that hold pictures of them both from their first Christmases. I have at times wished for a completely coordinated tree - one with matching ornaments, ribbons, and garland - but I can not go there. The tree in our living room has been with us from the beginning and is a part of many wonderful and significant memories in our life. Looking at the tree and at specific ornaments reminds me of these times - the Story of our Christmas tree, the Story of Us. 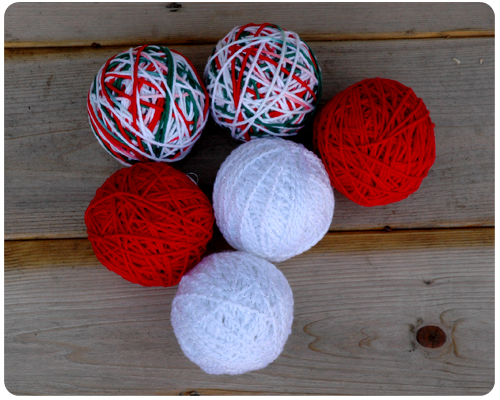 Remember the yarn ball ornaments that I made last week? Well, I put them on a wreath. Now I can hardly take credit for this idea - there are loads of such wreaths all over Pinterest - but this is mine and here is how I put it together. I made six yarn ball ornaments following the tutorial that I shared with you last week. 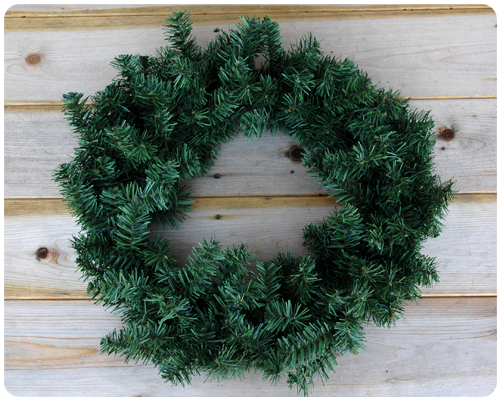 I got my evergreen wreath - which I purchased for a steal in the after Christmas sales last year - out of storage. And some small glass bulbs which I purchased in the same sales. (Look closely and you'll see my awkward photo taking pose reflected in the bulbs). Then I started putting the whole thing together. To attach the bulbs to the wreath I pulled the evergreen shoot through the hanger on the bulb and bent it around until the bulb was firmly secured. When everything was in place, I hung the wreath in my dining room window. (I am so glad that this wreath project was more successful than this disastrous attempt). I love it! And am so glad that I was able to use yarn in my Christmas decorating. I have a few other ideas, things that I would like to add to my wreath (sometimes it looks a tad sparse to me, like something is missing), but I may not get to that before Christmas. There is always next year, right? So, what do you think? Like my wreath? Think it needs something more? 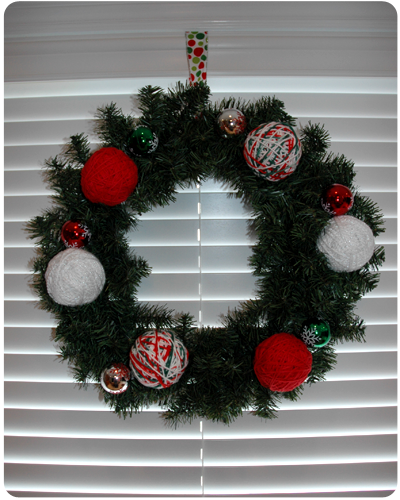 Made a yarn ball wreath of your own? Please share your thoughts in the comments. Can you believe that Christmas is only two weeks away? I don’t know about you, but it seems like every year the holidays come barreling at me faster and faster. I am done my shopping (and very glad that I do not have to fight the crowds anymore), so now I can just focus on planning the menu, doing a bit of baking, and relaxing a bit before the madness begins. I have three new cards to show you this week. 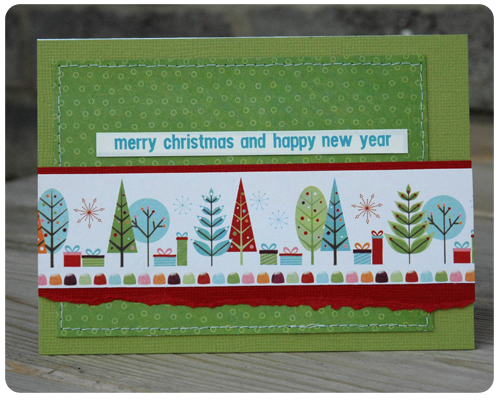 While this one spreads festive cheer using more traditional colors. Next week I will have some tags to show you. 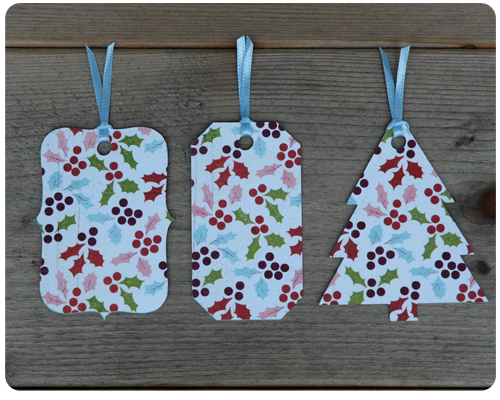 Tags are a great way to use up even the smallest scrap piece of paper, so check back then and maybe you’ll be inspired to make your own tags just in time for gift wrapping. 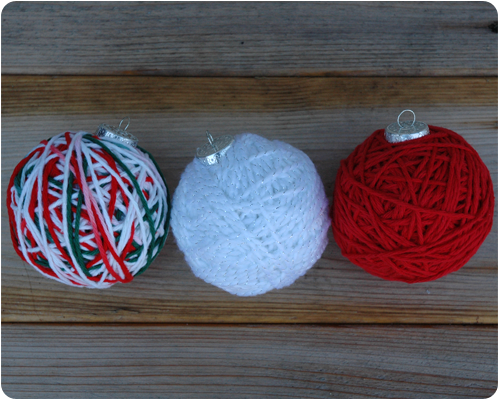 To add a little yarn to my holiday decor, I decided to make some yarn ball ornaments - super easy to do. Well, let me show you how. 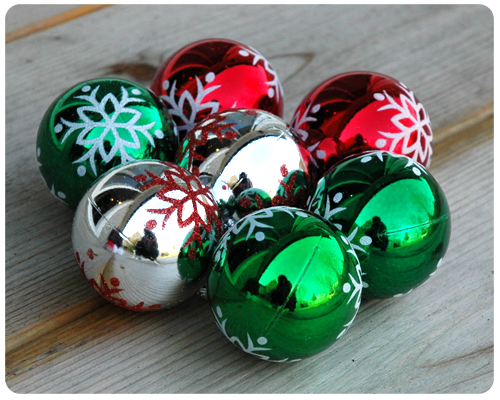 To begin, you will need several clear plastic ball ornaments. I bought mine in the after Christmas sales at Michael's last year for maybe $1.00 each. 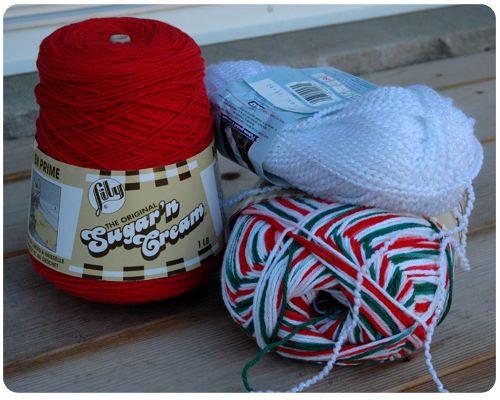 An assortment of Christmas yarns. The ones that I used are from here, there, and everywhere, eventually finding themselves in my yarn bin, waiting for such a project. And you will also need a handy dandy glue gun. 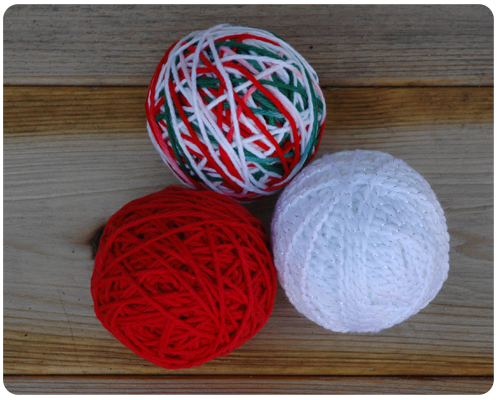 To begin, put a gob of glue on your ball and push the end of your yarn into the glue. Once this piece is firmly dried in place, add glue gobs all over your ball and start wrapping your yarn randomly around. Sorry that I do not have step by step pictures of the gluing and wrapping - I needed to work fast to get the yarn wrapped around the ball before the glue dried. Never the less, I am sure you can see how this all goes....you keep wrapping. And wrapping. Around and around you go. Until the clear plastic ball is completely covered and you are left with this. I finished off by putting a gob of glue near the silver thing on top, putting my yarn into the glue and then snipping the end. Wrap your remaining clear balls with the other yarns that you have. 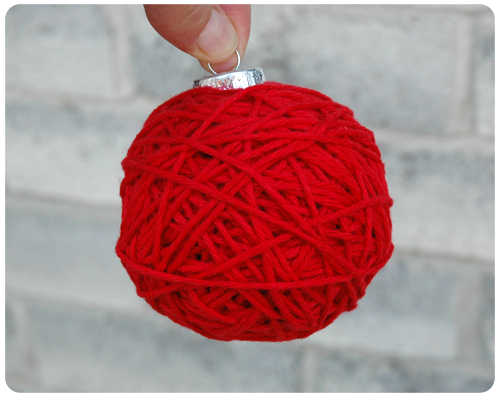 I hope you have fun making yarn ball ornaments of your own. 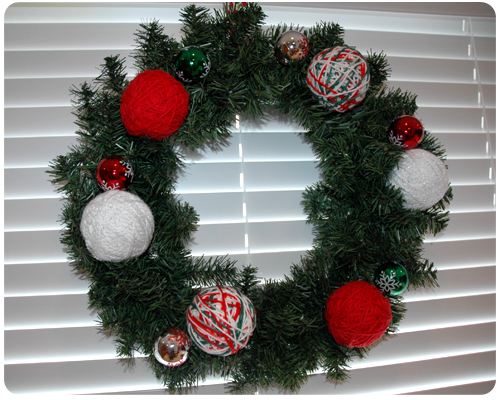 They are a great way to make your love of yarn part of your holiday decorating.